ST. GEORGE — The Washington County Water Conservancy District is proposing a property tax increase that officials say will translate to an annual cost of nearly $7 for a home valued near $300,000. A public hearing on the proposed increase is set for Wednesday. 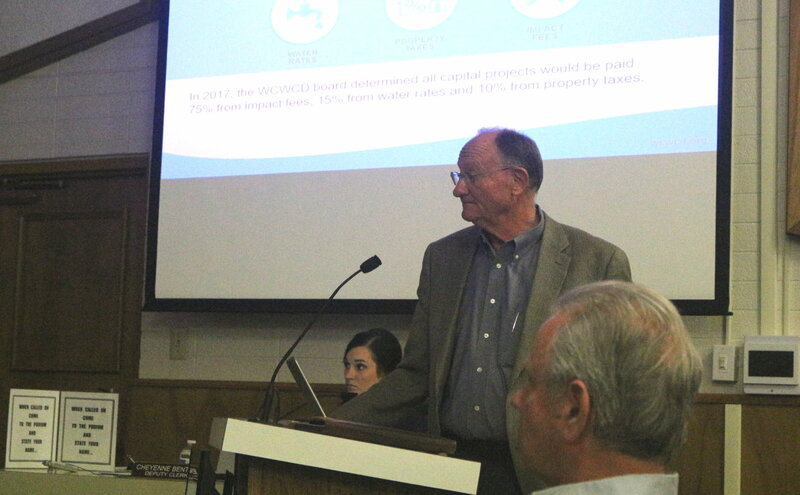 This would be the third property tax increase from the water district since 1990, Ed Bowler, chairman of the water district’s board of trustees, told the Washington County Commission during its Nov. 20 meeting. The last increase was in 2005. The amount the water district is proposing would generate an estimated $650,000 of annual revenue, Bowler said. Specifically, the amount the water district is asking for is a 0.000042 increase on property taxes, Ron Thompson, water district general manager, said. This would come out to $6.81 on a $291,000 home per year, he said. It would bump the annual property tax of $97.47 to the water district to $104.39 for a home at the value listed above. “In terms of cost, it’s pretty insignificant in the big picture,” Thompson said. If approved as a part of the water district’s 2019 budget, it would increase the district’s property tax revenue by 7 percent above last year. Water district officials said the increase would offset the fact that rates are not being adjusted for inflation over the years. The property tax rate is based on what is called the “certified rate,” Thompson said, which applies more to growth than adjusting for the cost of living. Overall, property taxes make up 10 percent of the water district’s funding for capital projects. An additional 15 percent comes from water rates while the majority, 75 percent, comes from impact fees. The proposed tax increase does have its detractors, among them being the conservation groups Conserve Southwest Utah and the Utah Rivers Council. 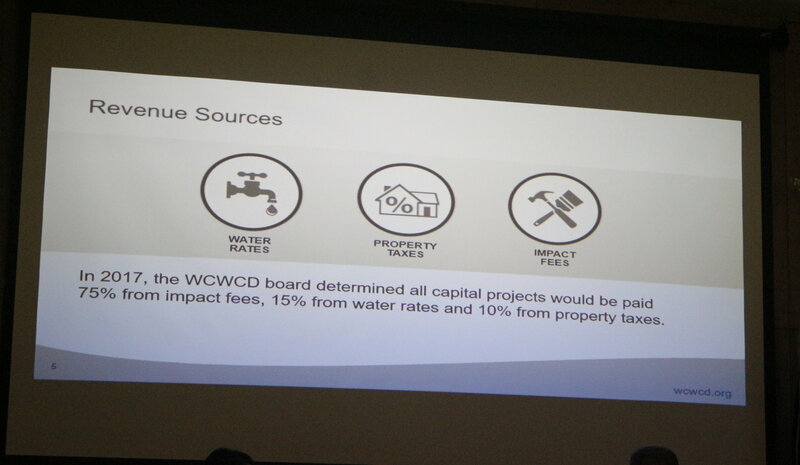 Both groups accuse the water district of subsidizing the true cost of water for water users through property taxes, thus keeping the cost artificially low while also doing little to promote efficient water use. “(Conserve Southwest Utah) opposes the basic concept of a property tax to supplement the price charged for water delivery since these taxes hide the true cost of water and make it difficult for individual homeowners to reap the full benefit of their investments in efficiency,” the group said in a press release. The Utah Rivers Council has said Utah is unique in using property taxes to to keep the price of water low. “These taxes are why Utah has America’s cheapest water rates – and why Utah is one of the nation’s most wasteful water users,” the council stated in a press release. Thompson said there’s nothing “unique” about Utah using property taxes to help cover water district cost. Other western states, including parts of California, do the same, he said. Funding generated by the proposed increase, which would take effect in 2019 if passed by the water board, would go toward water treatment, transmission and development, Thompson said. That includes capital projects the water district has planned over the coming decade. 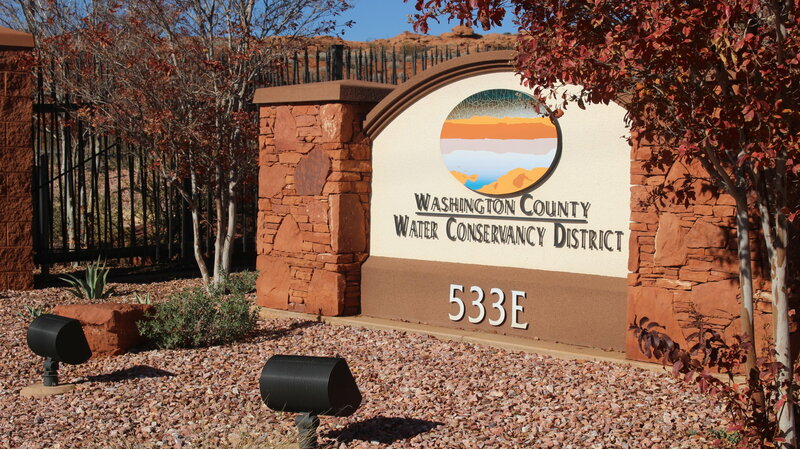 The public hearing will be held during a meeting of the water district’s board of trustees at 6 p.m., Wednesday, at the Washington County Conservancy District building, 533 E. Waterworks Drive, St. George. Just wait till they try to fund the Lake Powell pipeline. Perhaps the correct amount for all property taxes to the water district is zero. Why would you not pay for what you use? This isn’t about the dollar amount (this time) but how can we NOT spend $3 billion on the Lake Powell Pipeline. I see they didn’t mention that 69% of their funds are raised this way. Time for a change, stop by tonight at 6 and say enough of this and go to a use fee only. I agree with the “fee use only” to pay for our precious Utah water. This, to keep up with real costs of what is being spent. It’s way to easy to spend on projects with money coming into the county in the form of taxation without thought to conserving a resource. People need to look at how they are using water, and what better way than to see the water bill each month. Make is straightforward with users of water paying for the amount used. NO on adding a “tax” to the already inflated county, state, or local taxes. The water board’s June 2018 meeting minutes reveal that Ron Thompson wants to raise rates even more than this. He wants to hit .001 by 2030 to make sure he’s collecting enough of our money. The district already has almost $200 million in cash and cash equivalents. Given the fact this this man was arrogant enough to build a $5 million building on Red Hills Parkway that’s basically empty and that he’s paid more than either the governor or the state’s AG should tell us all we need to know about Mr. Thompson, how he does business and how he values (or doesn’t!) our money. Time to put the WCWCD on a diet…a tax diet. Enough of our money. No more tax increases! Make the people moving here pay thousands of dollars in impact fees to cover the additional costs needed to build and maintain the water system. So you want to move to St George? That’s just fine, but you pay the price! Just stop the darn taxing and charge based on water usage. That will encourage conservation which the water district does not. Next they will ask to increase our property taxes to pay for schools. Oh wait. Over 1/2 of our taxes do go to pay for schools, including the charters which were to “pay for themselves”. Taxes going up. What a concept for a republican state. There is no such thing as an “insignificant” tax increase. Give them this one this year, and they will be back at the trough again next year and every year thereafter. Sort of like donating to one of the many “charities” that are nothing but rip offs. Give to them once, you’ll be on their sucker list for the rest of your life. DRT I completely agree with you! They always try to justify tax increases by saying OH don’t worry it’s a few cents! Then next year, they ask for another one. We’ll they all add up! I also hate it when they put like this: “the increase will amount to an additional $2.30 a year for the average household.” Well, I don’t care!! No, no, no! The pigs at the trough always getting fatter and demanding more! more! more! We’ve let this “water king” get away with way too much already. It’s time for accountability. A lot of good suggestions here. Too bad those in charge will only pretend to listen. This is a Tax increase, it WILL happen, no matter what. If it was to ever to go to vote, it will be overturned. The decision has, and was made, a long time ago.